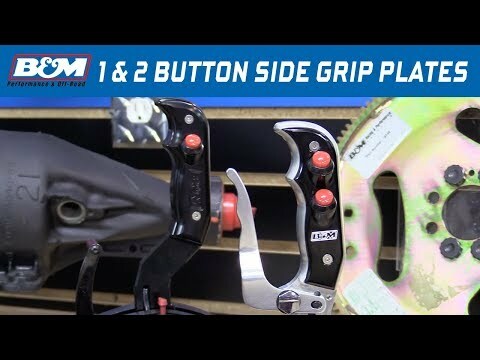 Fits B&M Magnum Grip Shifters. 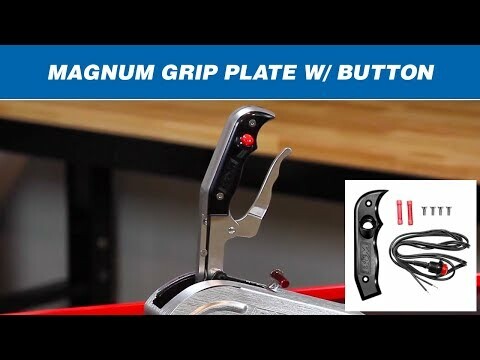 This is the Magnum Grip Black Stealth side plate with integral 12-volt button that fits right hand B&M Magnum Grip shifter. 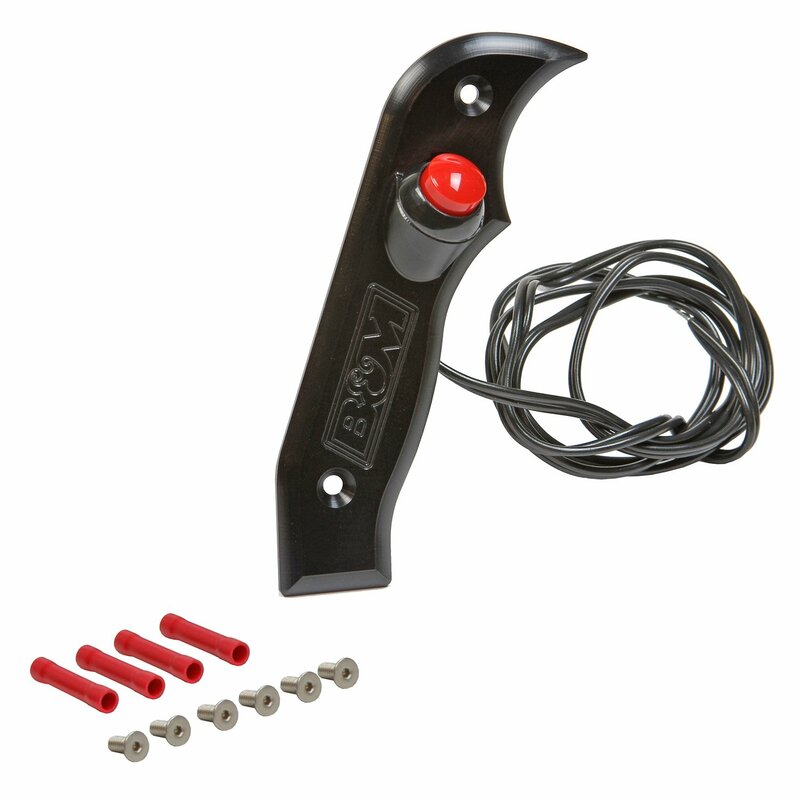 Button can activate two step ignition, trans-brake or nitrous system. 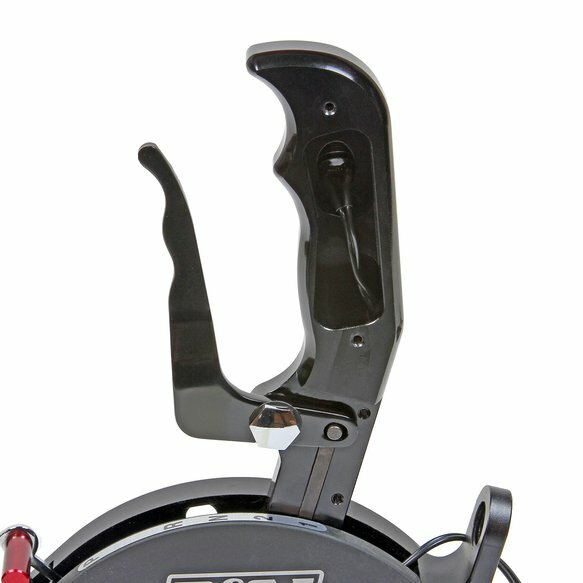 Wire is completely hidden in machined channel on shifter stick. 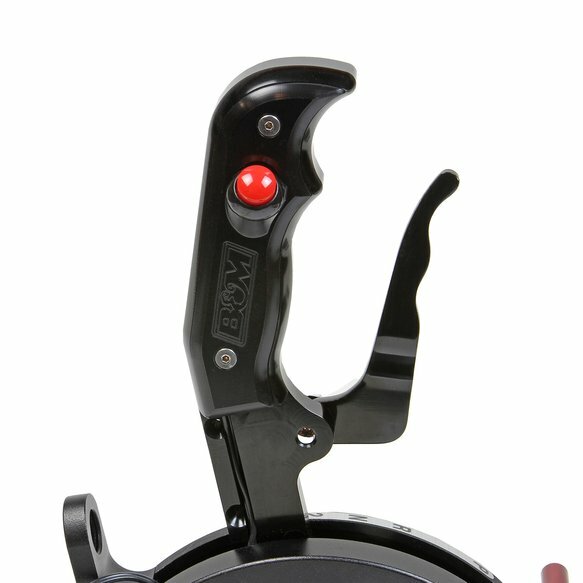 Anodized black finish.